The National Portrait Gallery owes its existence mainly to three eminent Victorians, Philip Henry Stanhope, Thomas Babington Macaulay and Thomas Carlyle. 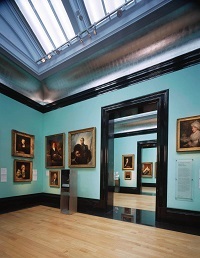 Stanhope first introduced the idea for the Gallery in 1846, however it was not until 1856 when The National Portrait Gallery was formally established. One of the first pictures donated was by one of the original trustees Lord Ellesmere. Unusually the National Portrait Gallery was established with the criteria that the Gallery was to be about history, more than art, and centred around the status of the sitter. Originally, it was decided by the Trustees that “No portrait of any person still living, or deceased less that 10 years, shall be admitted by purchase, donation, or bequest, except only in the case of the reigning Sovereign, and of his or her Consort”. However this rule changed in 1969 to encourage portraits of living sitters. 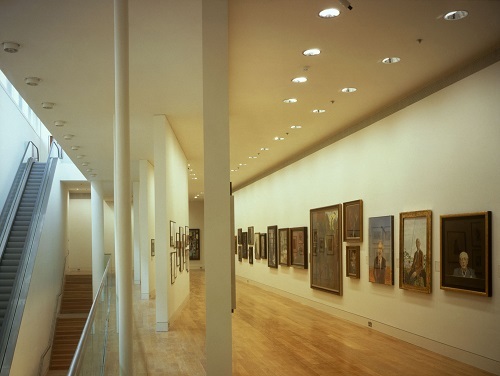 In the early years of the Gallery, it had no permanent home and was run by George Scharf, an illustrator who was responsible for all aspects of the Gallery. Originally housed at 29 Great George Street, Westminster. 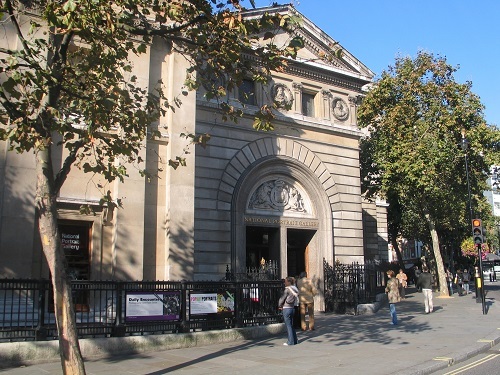 The Gallery then moved to the Royal Horticultural Society’s buildings on Exhibition Road in South Kensington in 1869, following a fire, the collection was then moved to the Bethnal Green Museum in 1885. There were calls to find a permanent home for the Gallery, In 1889, philanthropist, William Henry Alexander offered to pay for a permanent building, provided the government gave a site within a mile and a half of St James’s Street, and Lord Salisbury for the government accepted the offer and donor’s condition and found a site which had previously been occupied by St Martin’s Workhouse to the north-east of the National Gallery. The doors were opened in 1896 and 4,200 people visited the new building on the opening day. Its success led to a growing collection and negotiations for expansion. In 1928 the art dealer and benefactor, Sir Joseph Duveen agreed to fund a £40,000 extension, which greatly expanded the available space. In the late 1960s, two exhibitions, Cecil Beaton’s photographs in 1968 and the Queen’s portrait by Annigoni raised the profile of the Gallery considerably and attendance figures rose significantly. There has further developments since and National Portrait Gallery is considered one of the best galleries in London and in 2014 received over two million visitors. As well as the permanent Collection, the Gallery stages six major exhibitions and more than ten special displays a year and runs a full and varied programme of events and an extensive learning and outreach programme. There is also an IT Gallery , a state-of-the-art lecture theatre, a book shop, and the roof-top Portrait Restaurant with views across Trafalgar Square. Part of the Gallery’s success is the innovative way they bring together different portraits to tell the story of a person or event. They also promote portrait painting by holding several prestigious competitions. By londonvisitors2014 in London Attractions, Museums and Art Galleries of London on January 7, 2016 .